This is the 2010 Church theme given by the Lord to this pastor as the continuing visionary statement and focus for the ministry for this church. It means to be “under construction” both spiritually and physically. To be under construction spiritually is to be built up, from the ground up; the foundation of the member’s spiritual life is built on the rock, Jesus Christ; the character, personality, and stewardship of the membership is fortified in the Word, Worship, and the Will of God. To be under construction physically is to build a new church, a new worship center, with state of the art educational and social facilities to serve both the church and the community. This includes classrooms, multi-purpose rooms, offices and audio/visual aide resources and technology, a new kitchen/dining facility to enhance fellowship, religious education, and holistic ministry. The ultimate goal of “Bethsaida under construction” is to enhance, empower, and equip the saints of Bethsaida to better serve and evangelize the Gospel not only to our own congregation but to our sister church community and this world that is no friend to grace. All of this is to give God the glory and make Jesus our choice. Yes, we’ve come this far by faith and through faith we will build up God’s church both physically & spiritually; much prayer, much power, no prayer, no power. Join us when you can. We believe in answering the challenge and being prepared to serve. Rev. Dr. Bishop E. Carter III is a native of Lexington, KY and the oldest son of the late Rev. Bishop II and Sis. Annabelle Carter. He had one brother, the late Rev. Boris G. Carter. Dr. Carter is married to the former Brenda Johnson of Danville, KY. He has four children, Bishop IV (Raquel), Brandon (Tora), Brenda II, and Tika, two grandsons, three granddaughters, one sister in-law, Laverne Carter, one niece, and one great-niece. Rev. Cater is a member of the First African Baptist Church of Lexington, KY where he acknowledge his call into ministry in 1976. He was licensed to preach in 1977 and ordained in 1982, when he then answered his call to pastor at Bethsaida Baptist Church. Education has been an important aspect of Rev. Carter's life. He is a graduate of Lafayette High School, the University of Kentucky where he received an Associate Degree in Business and a Bachelor of Arts in Social Work, the Lexington Baptist College where he received a Bachelors and Masters Degree in Religious Education. The Lexington Theological Seminary where he received his Masters in Divinity and the United Theological Seminary of Dayton Ohio where he received his Doctorate of Ministry Degree. He furthered his studies also at Kentucky State University and the University of Louisville. Rev. Bishop E. Carter served as a professional advocate promoting Social Justice and Christian Discipline through education and empowerment. Dr. Carter was a devoted Chief Chaplain and Case Manager for the Kentucky Department of Corrections. He served as the "Faith Based Initiatives Director: of the Department of Juvenile Justice promoting a Faith Community Network in the Commonwealth of Kentucky. Dr. Carter currently serves as an Alternative Counselor for Toyota Motor Manufacturing Kentucky in Georgetown. He has received many rewards and honors over the years including being named to the Lafayette High School Hall of Fame in 1997 and the Outstanding Alumnus Awards from the University of Kentucky (11/1999 & 5/2001). Rev. Carter has written three books, "7E's for Change," "Little Fish in a Big Pond," and "The African American Male and Prison Ministry." All three books focus on Empowerment and the Re-entry of Prisoners to Society. Rev. Carter is also the Director of Distance Learning and a faculty member of Simmons Bible College. Recently, Rev. Carter served a four-year term as a Moderator for the Consolidated Baptist District Association (2010-2014). He now serves as the Prison Ministry Director for the General Association of Kentucky Baptist. Rev. 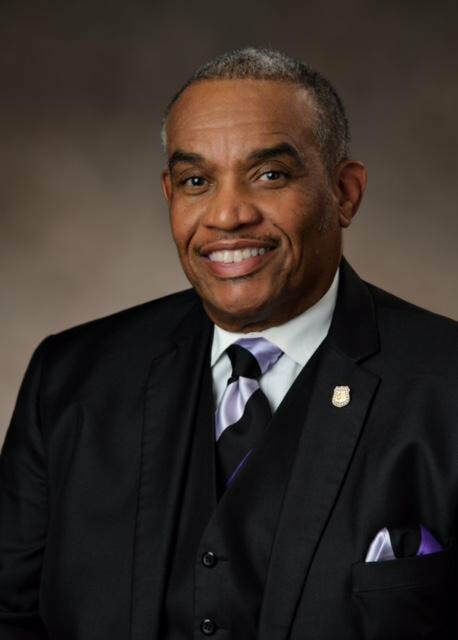 Carter is also a member of Omega Psi Phi Fraternity, Inc., Psi Tau Chapter where he is now serving as Basileus and holding office as Chaplain of the 5th District (Kentucky/Tennessee). For 36 years, he has been the under shepherd at Bethsaida Baptist Church. Under his leadership we have seen many positive changes occur at this church beside the road that lights the path of men.